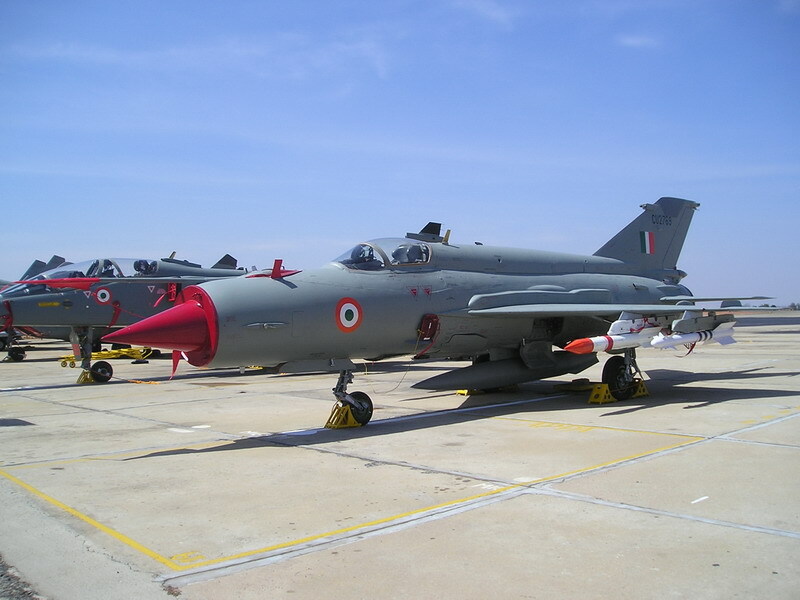 A MiG-21 fighter aircraft of the Indian Air Force crashed in Jammu and Kashmir's Badgam district on Monday, with the pilot managing to eject safely. "A MiG-21 Bison fighter aircraft crashed at 11 a.m. in Soibug area of Badgam district," a defence spokesman told IANS here. "The pilot safely bailed out and was rescued by an army helicopter some distance away from the crash site.